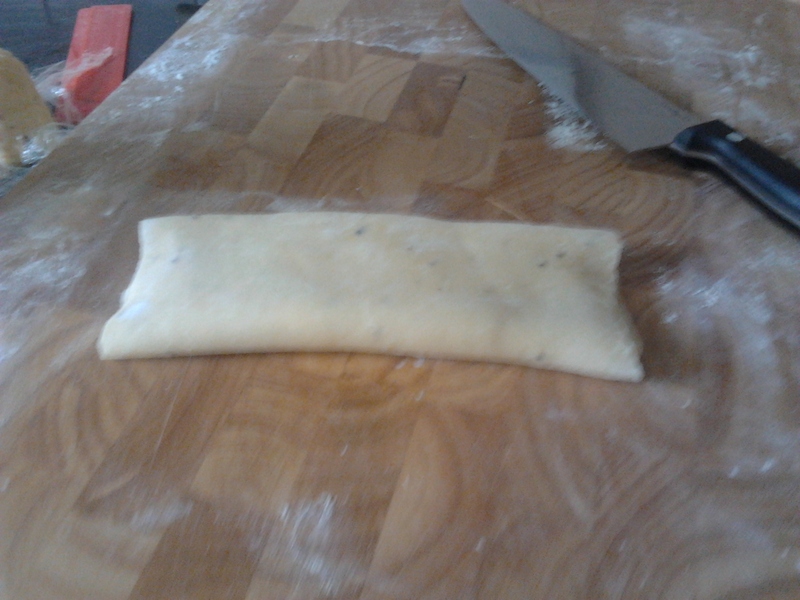 I never thought I would make my own pasta. 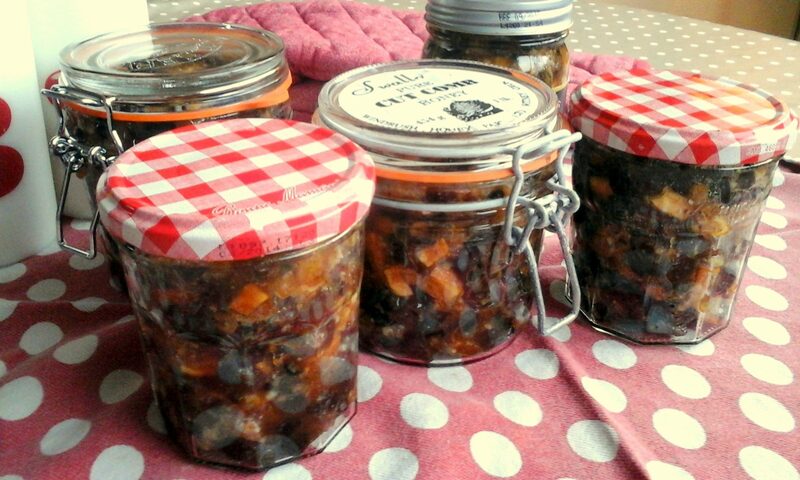 It seemed a bit of a waste of time unless you make a filling too. But I have honestly been converted (I think). It’s pretty easy, and the sight of pasta hanging around the kitchen is very fulfilling! 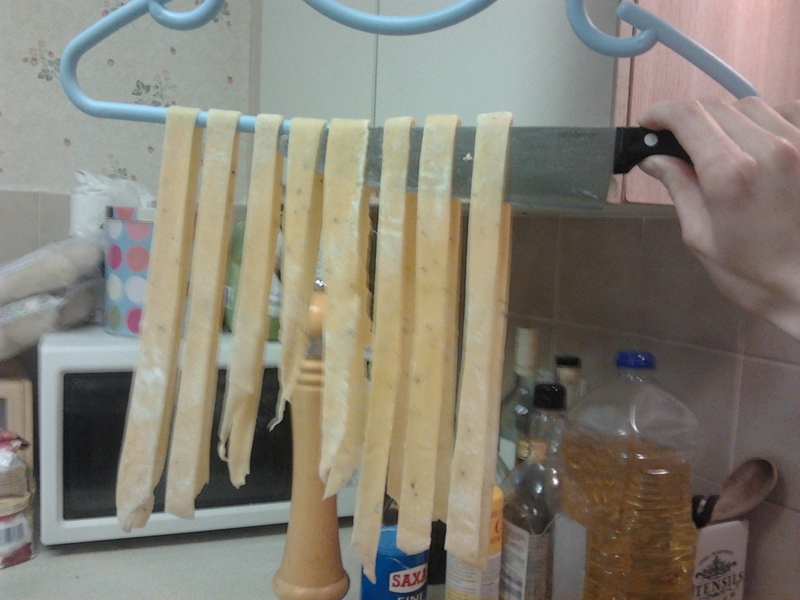 However, I don’t have a pasta maker, so it wasn’t quite as easy as it could have been. It looks like you can get one on Amazon for about £25 so if you’re going to make pasta semi-regularly, you might as well get one. 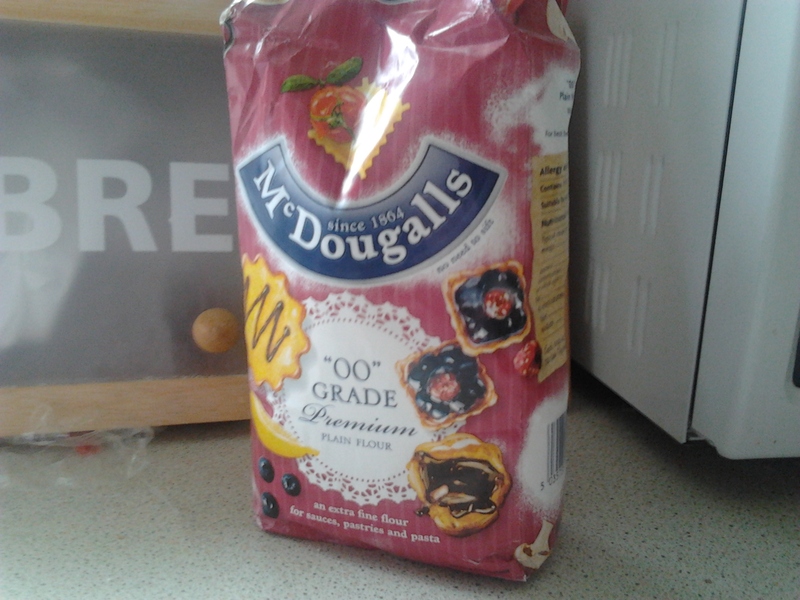 You can also buy Tipo 00 flour from Italian delis (and Carluccio’s). You can use the rest of it to make great pizza dough too. 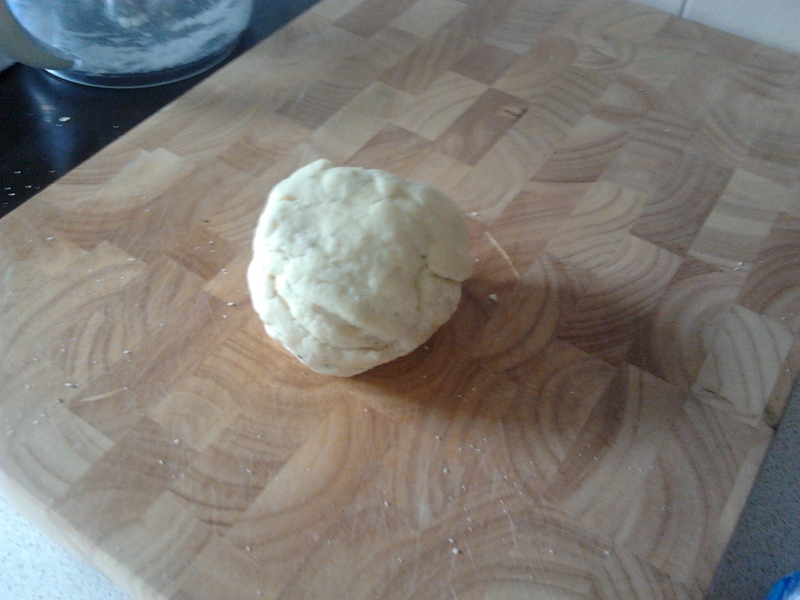 but it easily forms into a ball of dough which you rest for half an hour. 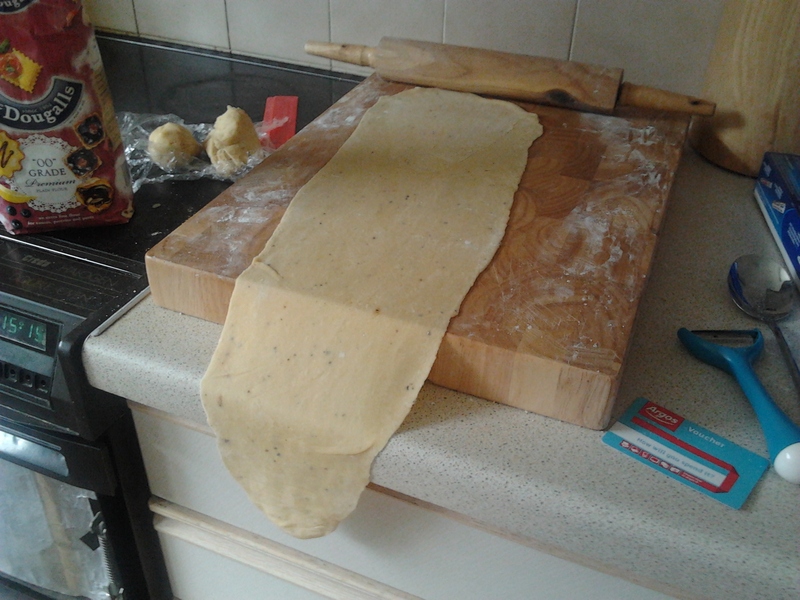 Then you need to roll it out as thinly as you can (doing a quarter of the dough at a time), which is where the pasta machine would really come in handy. But Lorraine has instructions for doing it by hand too which are easy to follow. She says you need to roll it out until it is very very long. I ended up with someone like a Dali painting. 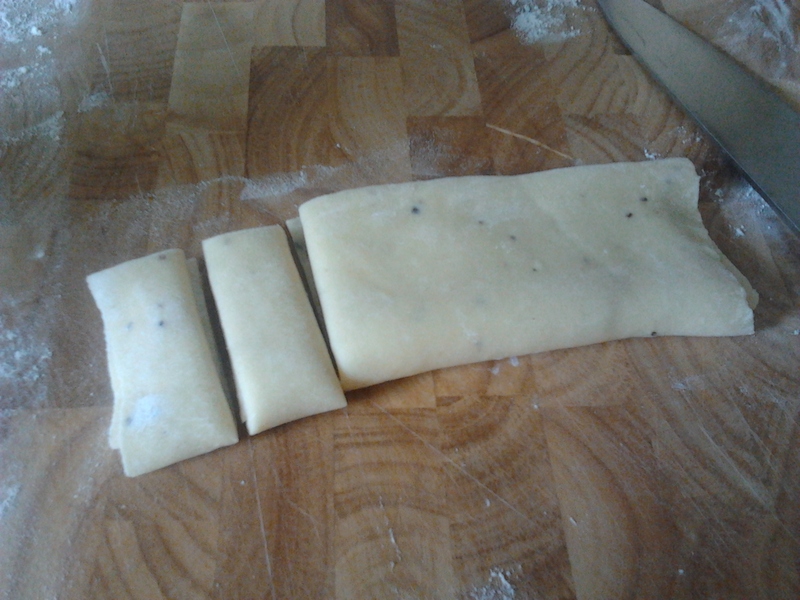 You then fold the dough up in half, in half, in half etc. (like wallpaper!) until you have a small rectangle. Then cut strips off it. I went for quite wide, like papardelle, but next time, I think I’d try a bit more like tagliatelle. 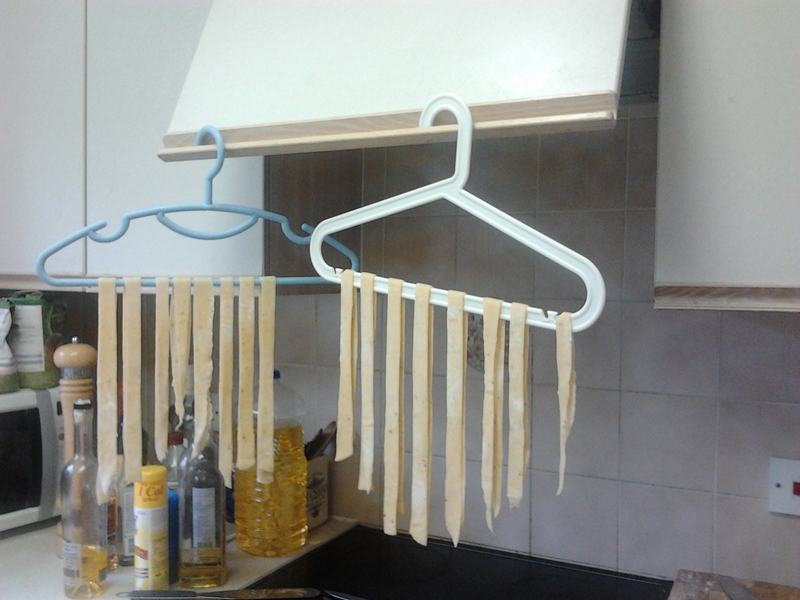 Lorraine suggests hanging the pasta on coat hangers while you prepare it all. There is something very satisfying about that isn’t there? When you’re ready, use a knife to slip the pasta off the hangers and cook in boiling water for 4-5 minutes. 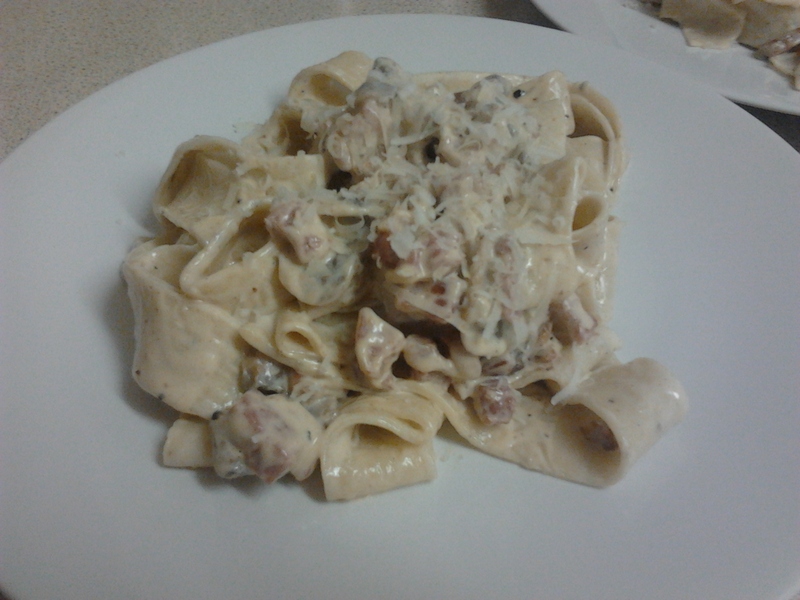 I served it with the creamy pancetta and mushroom sauce on p 88 (sort of cheat’s carbonara – pancetta, mushrooms, double cream and parmesan). 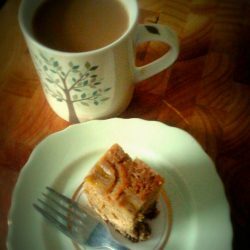 It was lovely, though a little rich. 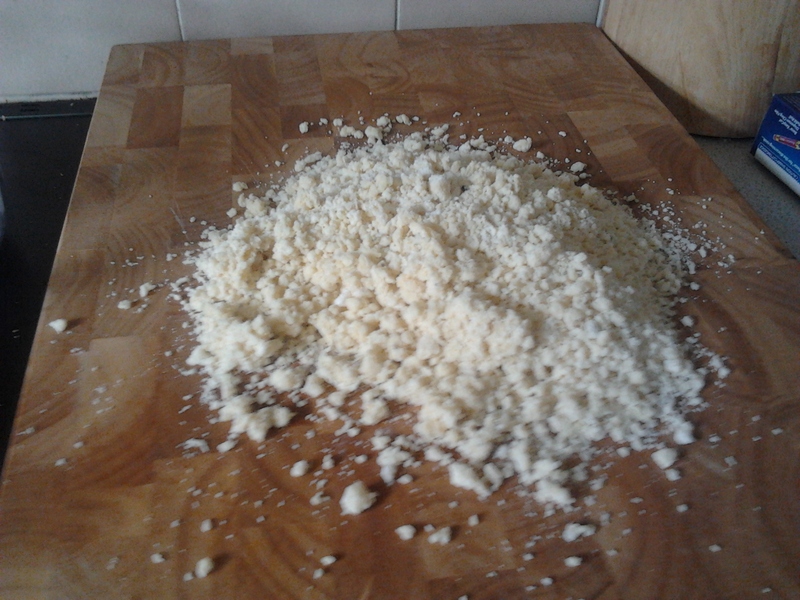 The pasta was great and Mr Cookingfanatic reckoned you could really taste the difference from shop-bought pasta. I’ll definitely cook the sauce again with normal pasta as a regular speedy meal, and make the pasta for more special occasions.